Regardless if they are backpackers or discerning individuals, guests will always seek for the best accommodation deals. 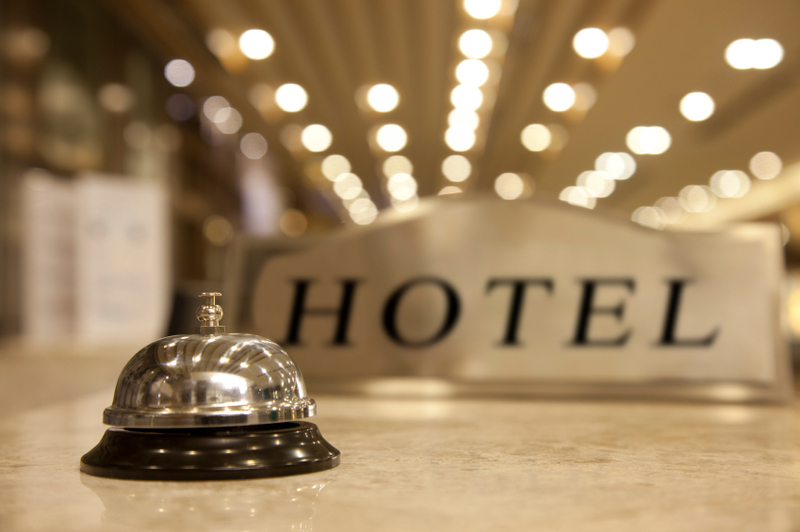 Spending one night in a hotel might be a luxury that is hard to come by for some, therefore it is essential to understand guests’ needs in order to meet their expectations. It is already well-known that fresh air and pleasant fragrances are top-minded criteria when it comes to room choice. If the air is stuffy or it has an unpleasant odour, you may expect serious complaints from your guests. These odours usually come from the bathroom, carpets or furnitures. Therefore, do pay more attention to these areas before your guests check in. Although it might seem like a brilliant idea to replace the furnitures every couple of years, this can be pricey, especially for boutique and start-up hotels. So, instead of outspending the budget on new items, you may want to invest in air fresheners, a relatively affordable and ingenious hack. In general, most guests prefer invigorating citrus and floral scents, while some appreciate a certain more exotic fragrances with the likes of starfruit or sandalwood. Hunger and thirst are two momentary conditions which may potentially ruin your guests’ mood. As most of the hotel restaurants are closed during the night, it is important to provide them with a range of food and beverages at the minibar section. Iced tea and fruit juices are some of the most desired beverages because they are refreshing and delicious. It might be a good strategy to offer various types of beverages. Most guests enjoy drinking coffee or tea in their comfort zone, so it’s better to place some tea bags and coffee sachets in the room. After a long trip, tourists may feel exhausted and some cold beverages along with some snacks (potato/rice chips) might be a good stress relief after a long flight. Besides, the snacks might be resourceful for guests who skipped breakfast. Hotel guests sometimes forget or choose not to bring their essential kit to save some luggage space; thereby, the lack of toothpaste, shampoo or toothbrush might be challenging for them. As most women practice a skincare routine, it might be a good idea to make available skincare products range such as facial cleansers, toners, moisturizers, and lip balms for them. Apart from skincare products, guests expect to find clean towels and slippers. Most of the time, tourists do not have enough luggage storage for bathrobes, so they prefer to find them in their hotel rooms. This is also applicable for slippers which are also equally indispensable. On a side note, providing a hair dryer is another advantage. Being in a foreign country or a new city might be challenging for travelers as without knowing any restaurant or transport recommendations, it can be hard to maneuver the place. It is a good strategy to place some city maps, cab lists, and brochures on the coffee table. Tourists expect to be entertained and informed, thus, they will always search for local advice with regards to eateries, bars, transportation or other touristic attractions. Most travellers love to explore, while others would like to rest and enjoy personal time in the hotel room. For the latter, local language might create language barrier and hinder understanding, so it is better to offer international channels, preferably in English. Pay TV is also an alternative, as room guests are able to access their favourite TV shows and the hotel can charge for payment. The absence of plug sockets within the vicinity of the table or bed is proven inconvenient. We too understand how you prefer to lie in bed and scroll on your mobile devices. It is nothing more uncomfortable than inappropriate plug socket placement when guests have to stand and use their smartphone while it is charging. Guests love being able to update their daily agenda in real time. Hence, the availability of free Wi-Fi represents an enormous advantage. Most tourists complain that the Wi-Fi connection is too weak or they have to wait until hotel staffs to assist them. Thereby, to avoid these situations, the management has to ensure that this basic service is well established. Long queues are always inconvenient for tourists, having a self check-in and check-out system is an added value. Displaying iPads to automate this process in the hotel lobby can ease these tasks. Besides, there should be a reasonable number of check-in devices, especially during peak hours. Consistency plays a key role in this process and the managers should ensure that the bookings are properly performed and guests do not experience significant delays. This is a common problem faced by a majority of hotel chains where the light is very dim in the hotel room, although it is pleasant to relax under low light condition, but it can be difficult to read or to do other stuffs. Try to have a combination of both warm (yellow) and cool (white) lights, or to install lamps with adjustable brightness. Besides, it is more convenient if you have the lamp switches near the bed area. Customer satisfaction is a broad chapter to grasp; however, these are a few points that hotel managers should be aware of when it comes to hotel offerings and services. If you are an aspiring hotelier, now you know what to do! If you are looking to stock up on your hotel supplies, please CLICK HERE.